It’s been a little more than a year since David Bowie died, and the memorials keep pouring in. The Royal Mail hopes to make its tribute a lasting one, announcing a line of Bowie-inspired stamps today. It’s a 10-stamp series, and will feature the cover art of Bowie’s Aladdin Sane, Hunky Dory, Earthlings, Blackstar, Heroes, and Let’s Dance. 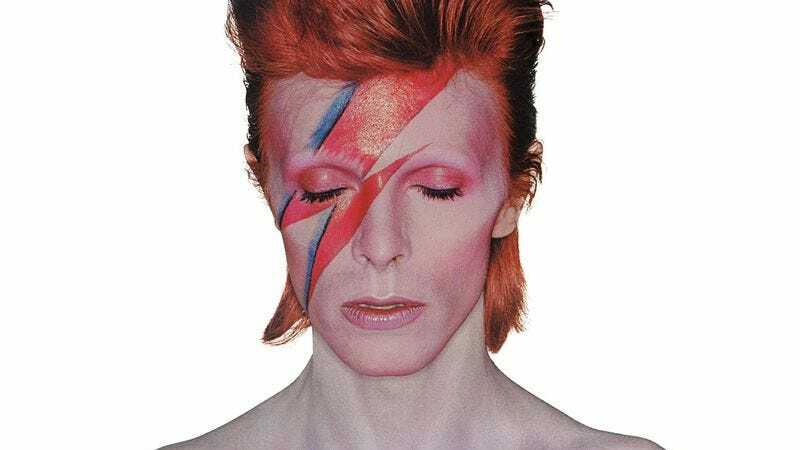 The remaining four designs will be made up of images of the late icon performing while on the Ziggy Stardust Tour, the Stage Tour, the Serious Moonlight Tour, and A Reality Tour. Bowie is in exclusive company; the only other musical acts to receive a line of commemorative stamps are the Beatles and Pink Floyd. The stamps won’t be available until March 14, but you can already pre-order them, even if you don’t live in the UK—it’s not like you’re any less likely to use them.